Telling Our Stories began as a part of the 2013 Annual Conference, with storytellers sharing their experience with “Becoming Disciples of Jesus Christ,” the year’s theme. Since then, 135 persons have shared their faith stories with the conference, witnessing about the power of the Holy Spirit and God in their lives. Telling Our Stories will continue to share written or video testimonies as they are submitted to the conference, rather than on a regular weekly or bi-weekly basis. When a new story is shared, an email notification will alert fans to the new content, just as it has in the past. We are always interested in faith stories, and the “submit your story” link will continue to be available. And, click here to revisit the archives for inspiration. Many of us watched and can remember when those words were spoken on the first landing on the moon. That moment changed lives and altered the course of the world we know today. I am not about to say what I am going to tell you will change the course of the world, but it sure changed the lives of a young family in Cuba. I do not understand what does landing on the moon and Cuba have to do with each other, nothing could be further apart than that. Please read when The Eagle Landed in Cuba. There is no one reading this that cannot tell me when payday is. We all know and expect it on that date. If not where is it? Let me tell you about a recent experience when I was in Cuba. It was toward the end of the trip, and we had traveled to many churches within the district. I could see the bottom of the duffle bag for the first time in two weeks. Today we were going to three churches that did not have a sister church. These churches are definitely the least of the least in the district. The first two went as I had expected, very difficult, but I had seen situations like this before and you prepare yourself for them. To say the least the third stop made me so proud of the Southwest District: “what you are doing makes a difference.” Upon our arrival the pastor and his wife were waiting at the front door; she was holding this beautiful little girl maybe two or three years old. Before I could say a word, the pastor was telling me about the greatest day in his life. For the first time in his life he had received $25 dollars for his salary; he thanked me over and over and showed me his new shoes, plus his wife’s new shoes. With the pastor’s voice breaking up and tears running down his face, he showed me the new sandals their daughter was wearing. “The eagle had landed” for the first time at this home. Because of “the adopt a pastor program” this pastor received his first salary check. The “Adopt a Pastor Program” was instituted to pay the salaries of Cuban pastor’s that do not have a sister church just like the one you just read about. Pastor’s salary is twenty-five dollars a month. You can make an everlasting effect on a Cuban pastor waiting to say,”the eagle has landed”! Click here to submit your story or to nominate a storyteller. 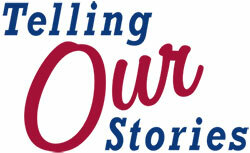 Click here to visit the Telling Our Stories archive, where you can review or revisit stories that have already been posted.